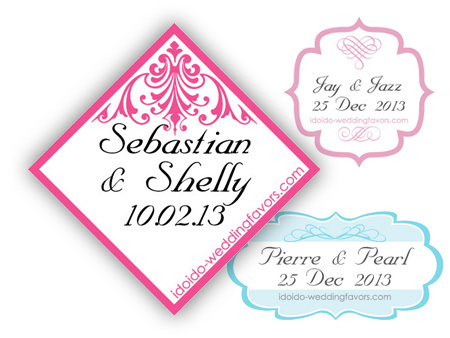 Small stickers to go with your wedding favors. Comes in many designs and colors. Add that unique personal touch with customisable text.